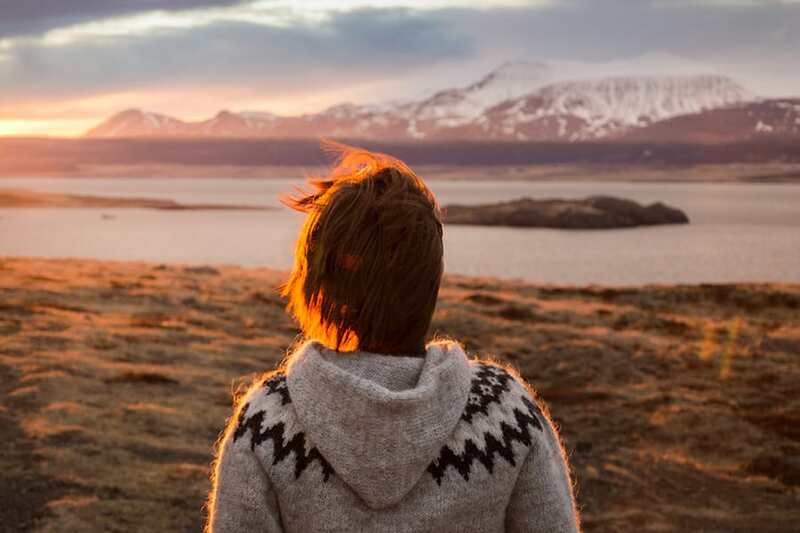 Being more adventurous than getting satisfied with the view, you may want to actively experience the incredible Icelandic nature and go off the beaten path. Glaciers are just INCREDIBLE in Iceland! About 11% of the land area is covered by glacial ice. The largest ice cap is Vatnajökull on the south-east with being equal in size to Corsica or to Cyprus! Walking on this surreal field, magnificent, blue-black-white painted icebergs is a real adventure! Read my article about my glacier hiking experience here: www.getlocal.is/blog/on-thick-ice-glacier-hiking-and-ice-climbing-in-iceland Please do not go on a glacier without a trained local guide! Ice climbing on the glaciers is possible year-round in Iceland. Most tours are suitable for beginners but there are tours for experienced ice climbers as well. Glacier walking tours can often be combined with ice climbing or jeep safari. You can search for tours and compare the offers and prices from 200+ Icelandic companies at getlocal.is Please do not go climbing without a trained local guide! A trip into an ice cave is an incredible, unforgettable experience! Natural ice caves are short-lived wonders. They are formed in the beginning of winter and melt away before spring. Therefore, the ice cave season in Iceland is limited, there are guided ice cave tours from November to March only. But there are man-made ice tunnels inside the Langjökull glacier where you can experience blue ice even in summer. Please do not try to enter an ice cave whitout a trained local guide! Diving and snorkeling is becoming very popular in Iceland. I tried only a snorkeling tour since I don't have a diving licence (You need a PADI in order to be able to dive here) but it was one of the most memorable experiences in my life. There is a fissure between the tectonic plates in Iceland that is filled up with the clearest water in the world. The water is coming from a glacier and is filtered by the finest volcanic soil. The visibility is around 100m! The place is called Silfra and located on the Golden Circle so you can combine with a Golden Circle road trip :) You can also dive in the Lake Kleifarvatn, where you can see rocks vibrating and bubbles emitting form the bottom of the lake. Or you can dive in the sea :) Please do not try diving or snorkelling without a trained local guide! Iceland is the heaven of adrenaline junkies! Snowmobiling is possible all year round thanks to the plenty of glaciers that we have here :) You can even combine snowmobiling with glacier hiking or ice caving! When I first tried a RIB boat I was totally shocked. I did not even check what a RIB boat is! Lucky that I am an adrenaline junkie because it turned to be an extremely wild activity! I was actually fearing my life but totally enjoyed of course! Not only for the experience but also for the stunning view! There are plenty of wild-and calm water kayaking and rafting opportunities as well. Personally, I am not a fan of these vehicles but I can understand those who are crazy about them and they are very popular in Iceland. It surely pumps your adrenaline level high. It is not very easy to find a surfing tour because it is highly weather dependent and there are not many tour operators that offer this activity. I can understand :D However, it is most likely possible in summer. This is on my bucket list! Every time when I visit Vík on the south coast, I envy these guys silently gliding over those stunning sights. If you can afford it, don´t skip it! I know it's not an extreme sport but I think it's still very interesting :) Fishing in the sea is very easy and fun, especially if you put the fresh catch on the barbecue right away. Plenty of companies offer this experience, you can combine with whale watching or puffin watching. It is also possible to fish in lakes and rivers but you need to purchase a license for that or just go on a fishing tour, that's the easiest way. Blogger, traveller, outdoor adventurer. Hungarian, based in Iceland.